Appeals by gubernatorial appointment effective Dec. 10, 2009.
in 2010 to stay on their respective benches. Both won the general election. 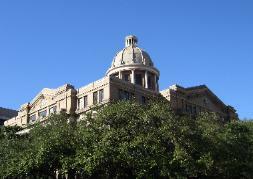 election contest for the 151st district court bench in Harris County]. 14-08-00951-CV M7 Capital LLC v. Theodore B. Miller, Jr. a/k/a Ted B. Miller, Jr.
14-09-00054-CV Brenda Hatton v. D.R. Horton, Inc.
14-08-01030-CV Bader Malallah v. Noble Logistic Services, Inc. f/k/a Dedicated Services, Inc.